Yesterday I had the chance to see a huge, beautiful winery. 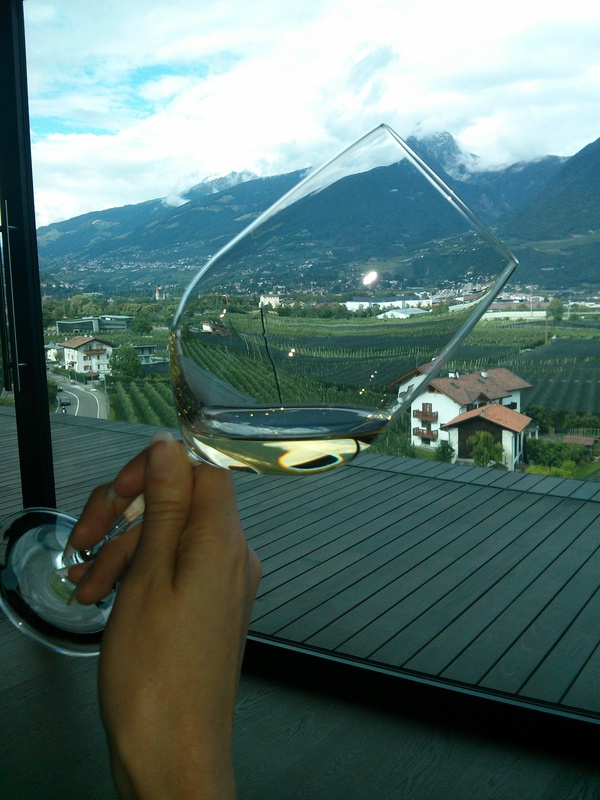 It is located in Marlengo|Marling, five minutes by car from Merano and is the result of the fusion of the three wineries. They took the existing old winery and built on and over it. The result is a beautiful mix of antique and modern with a spectacular view over the Etschtal|Adige valley. The purpose of the view is not only to fascinate the visitors, but also to show them geographically where the grapes of the wines they are tasting and buying come from.